It is the Sunday after an extended 4th of July weekend family vacation. This means that we have spent the last 4 days eating delicious and not so good for you stuff like hot dogs, hamburgers and too many mayonnaise-filled side dishes for me to count. So tonight, as we get home and start a brand new week, it is time for some really lean meat and fresh veggies to make us feel a little less lethargic. The lean meat in question tonight is pork tenderloin and I just happened to have a few hours left before dinner, perfect timing! My favorite thing to do with this cut of meat is to mix up a simple, but potent marinade. Pork tenderloin soaks up said marinade rather quickly, producing a juicy and really flavorful main course in as little as a two hour soak. Got a few hours before dinner? Yeah, you have time, let's do it. 1Combine all of the marinade ingredients in a bowl and whisk throughly to combine the brown sugar. 2Place the pork tenderloins in a Ziplock bag and then pour in the marinade. 3Squeeze as much air out of the bag as you can while you seal it and then place in the refrigerator. 4Allow the pork tenderloin to marinade for at least 2 hours, up to 6 hours. 5Heat the grill to medium heat. 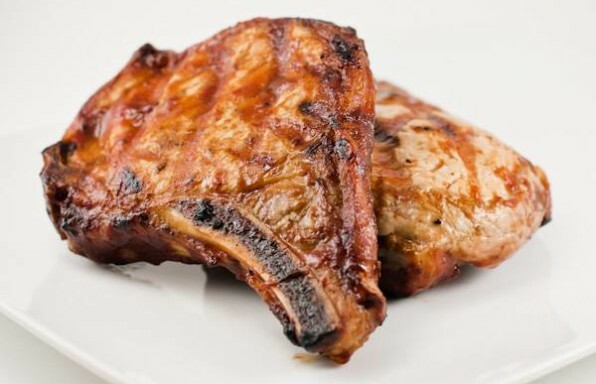 6Remove the pork from the marinade and discard the bag and marinade. 7Grill the pork tenderloin over medium heat for 15 - 18 minutes, or until a meat thermometer registers 140 degrees at the center of the fattest part of the tenderloin. 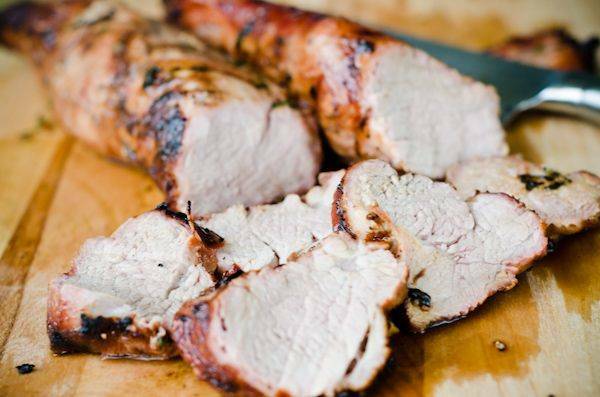 8Allow the grilled pork tenderloin to rest on a platter for 5 minutes before carving. Delicious and easy to throw together.